Here it is the end of the year for many rodeo and roping organizations and many have made their Finals and some are yet to qualify. Of course the biggest question this time of year always seems to be who will be going to Las Vegas to the Wrangler National Finals. School is back in session and summer is coming to a close along with many roping and rodeo finals winding up the year. Entries at some of the ropings have declined due to the back-to-school issue, but still seem to be strong in most ropings. This month’s issue has interesting stories about the many events that have taken place since our last issue. 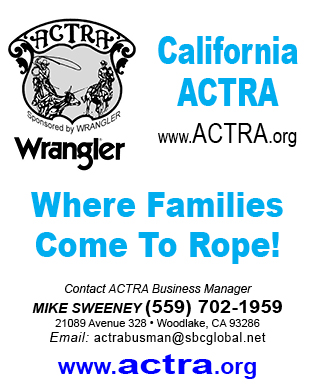 You will also read about some of the new sponsors that PRCA has taken on. “Wow!” is the word that describes the 2018 short go of the Bob Feist Invitational. Of all the years I have watched the short rounds of the BFI, this was by far one of the most exciting I have ever witnessed. It made anyone watching admire the horsemanship and roping ability the contestants displayed. A tip of my Resistol to all those who were fortunate enough to make it back to the short round.